The icon option in payload is essentially a small image you can show next to the title and body text. image option in payload can be used to display a larger image to the user. This is particularly useful to display a preview image to the user. since Chrome 59 The image is not visible for Mac OS X users. It's not unreasonable for a site to send the user lots of important and relevant updates. However, if you don't build them correctly, they can become unmanageable for the user. A simple technique is to group messages that are contextually relevant into one notification. For example, if you are building a social app, group notifications by sender and show one per person. If you have an auction site, group notifications by the item being bid on. The notification payload includes a tag attribute that is the grouping key. 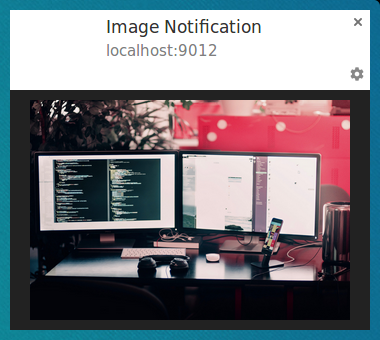 When sending a notification with a tag and there is already a notification with the same tag visible to the user, the system automatically replaces it without creating a new notification.